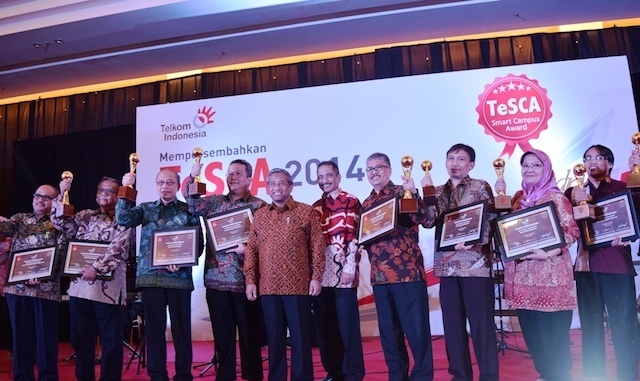 BINUS UNIVERSITY managed to get the highest score in the selection of the best universities in Indonesia in Telkom Smart Campus Award (TeSCA) 2014. With as many as 5,850 points, BINUS surpassed University of Indonesia (5,695 points), Gunadarma University (5,591), Airlangga University (5,462), and more than 700 other universities and colleges throughout Indonesia. 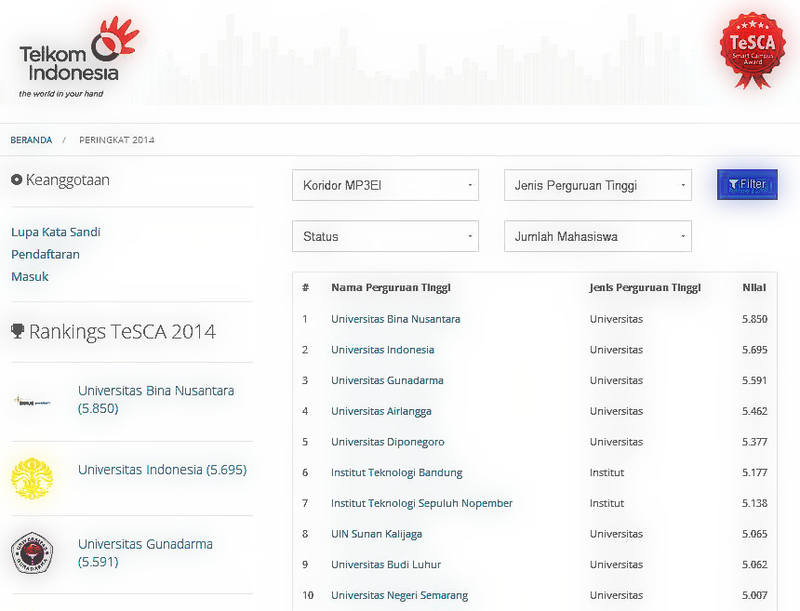 This result put BINUS as Top National Winner of TesCA 2014. TeSCA is a program to measure the utilization of Information and Communication Technology (ICT) in Indonesian universities through the method of “ZEN Framework” that measure a variety of components ranging from infrastructure, applications, human resources, and so on until the policy component. TeSCA initiated by PT Telekomunikasi Indonesia Tbk in cooperation with the Directorate General of Higher Education (Higher Education) Ministry of Education and Culture, College of Computer Science Association (Aptikom) and Technology and the National Communications Council (DETIKNAS).